Solana Energy Alliance was created by the community, for the community, and it will be a key part of Solana Beach’s Climate Action Plan, delivering nearly half of the targeted electricity-related greenhouse gas emissions reductions. California has become a world leader on climate change, and local communities are joining in the call to create a carbon-free environment. One of the tools communities have to achieve our ambitious climate goals is creating locally run, greener electricity providers to offer an alternative to large investor-owned utilities. Communities across the state are jumping at the opportunity, known as community choice aggregation, to design and provide clean energy programs that meet the unique needs of their region. Solana Beach has recently joined this localized movement, building on the achievements of the many cities and counties in the state that have launched CCA programs in their communities over the last decade. This localized energy competition is new to Solana Beach, and, as a result, there has been some confusion and misinformation spread by those who might be afraid of change. I would like to help clear that up. Solana Energy Alliance was created by the community, for the community. SEA, which began serving customers on June 1, procures both clean and renewable electricity on behalf of its customers. SEA’s primary product, SEA Choice, comes from 50 percent renewable and 75 percent greenhouse gas-free sources. By contrast, San Diego Gas & Electric’s energy supply is 43 percent renewable. CCA is a key measure in Solana Beach’s Climate Action Plan, delivering nearly half of the targeted electricity-related greenhouse gas emissions reductions. And for the first time, customers in the community now have a choice in who provides their power. They can stick with the new locally focused electricity provider or return to SDG&E. To have this option is significant and should not be understated. 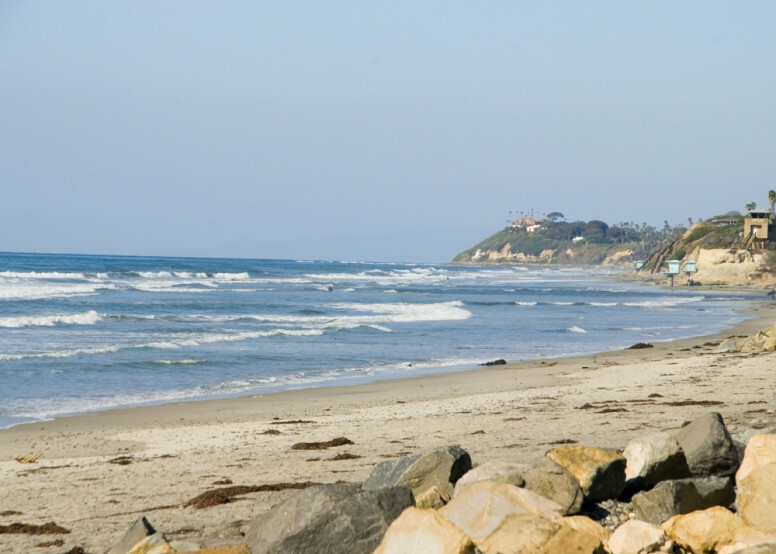 Unlike SDG&E, which is motivated by shareholder interests, SEA is a not-for-profit energy provider accountable to the residents and businesses of Solana Beach. As a result, excess revenue will be reinvested back into the local economy, through on-bill savings and community programs. This ensures net revenues remain in the local community and continue to benefit local customers. In 2018, CCA customers in California will save more than $90 million per year combined on their energy bills compared with their investor-owned utility counterparts, according to California Community Choice Association members’ projections. Although community choice aggregation is new to San Diego County, CCAs have built a strong track record of providing and generating new clean, reliable energy at competitive rates to the customers they serve. There are currently 18 CCAs in operation throughout California and this year they will serve over 2.5 million customer accounts. CCAs were enabled by the California Legislature in the wake of the 2001 energy crisis, allowing local communities to take control of the energy they buy and to address constraints on competition that contributed to the crisis. Highly-regulated, locally controlled CCAs were designed to make energy markets less risky, protect ratepayers and infuse competition into the markets. Today they are performing as intended. Previously, the investor-owned utilities monopolies in communities meant consumers had no choice in their energy supply. Now, CCAs are giving communities like Solana Beach the tools they need to reduce their carbon footprint by offering reliable, renewable energy supply that meets the energy needs of consumers without driving up energy bills. While SEA is locally operated, it works in partnership with SDG&E, which continues to provide all electric delivery, billing and power line maintenance while SEA secures its own energy sources. SDG&E charges SEA customers what’s known as an “exit fee” on an ongoing basis to recover costs associated with its old power contracts. The California Community Choice Association is working to adjust that fee and lower costs for all consumers and will find out later this summer if the state will find a solution that is good for all. Because CCAs are formed locally and are overseen by elected public officials, they offer a level of transparency, accountability and accessibility that does not exist with investor-owned utilities. Decisions about electricity choices, such as renewable power content and rates, are made by the local community. Unlike the rates of the investor-owned utilities, which are set by the California Public Utilities Commission in San Francisco, SEA rates are set at Solana Beach City Hall. The public is welcome to attend the rate-setting meetings and participate in the process. Because rates are set by the Solana Beach City Council, customers have a steady, predictable energy bill. As California continues to lead in innovative and carbon-reducing renewable energies, CCAs like SEA are vital to achieving local and state energy goals by providing customers the same reliability and affordability of traditional energy sources but with more green, carbon-free power sources. Beth Vaughan is the executive director of the California Community Choice Association, based in Concord.